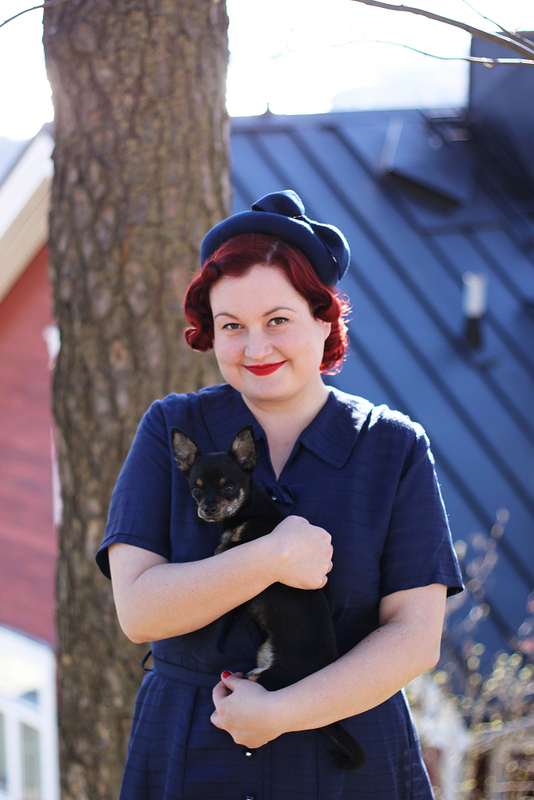 When I snagged this 1940s day dress from Etsy, I immediately thought it would look cute paired with my Fiona Timantti hat. The shade of the hat and the dress are a very close match. Furthermore, the bow of the hat nicely emphasises the cute little bow at the neckline of the dress. 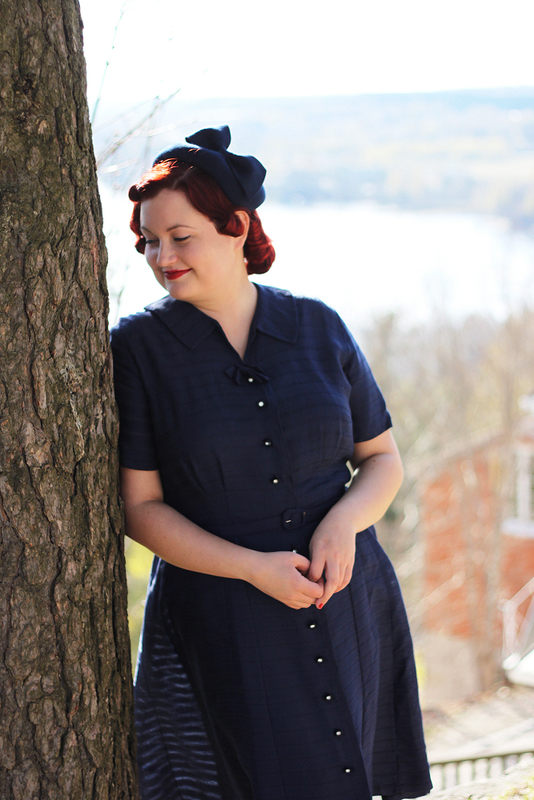 The rhinestone buttons that run down the front add a subtle touch of glamour to the day dress. These photos, like the ones in the previous post, were taken by my brother, Riku. When I asked him to snap a couple of outfit photos for me, we got a little carried away and ended up with hundreds of images. He's such a great photographer - and peep just how adorable his chihuahua, Poppy, is! She's such a star. gorgeous, doll! Love that hat, too! You look gorgeous, and so does Poppy! Glad to see some sun in Finland! Lovely pics of the lovely lady! OMG, you look so adorable! And that hat. Swoon! What a beautiful dress! You're right, it's a fantastic combo with the hat. What a beautiful dress and hat, and a great colour match! The outfit is beautyful and your brother really is a good photographer!